Take me out to the ball game, take me out to the crowd! 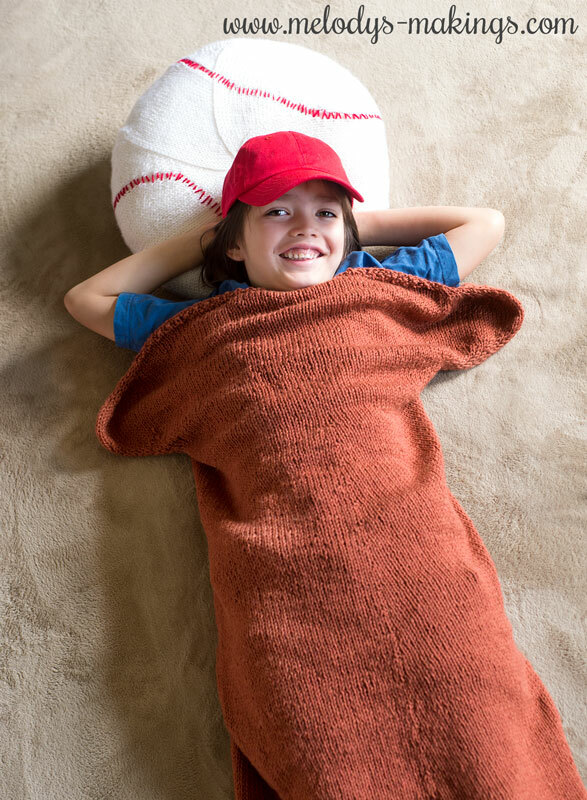 Delight your favorite baseball fan with this adorable bat blanket and baseball pillow knitting pattern. Worked in the round, it’s a fun and super unique project that makes a great gift. This free knit blanket pattern features worsted (4) weight yarn and size 5.5mm (US9) 34-36″ circular knitting needles and Double Pointed Needles (or use the Magic Loop Method). One size fits most children – see measurements listed below. Do not bind off. Cut approx. 7 inch tail. Using your yarn needle, remove all sts from needle as if to purl. Pull tail through the sts to cinch the bottom of the bag. Secure and weave in all ends. Cast on 5 sts onto Double Pointed Needles (or use Magic Loop Method) using white yarn. **Stuff with 16” round pillow form whenever your project reaches the point where you won’t be able to fit the form inside anymore. Then continue on working the pattern around the form. Do not bind off. Cut approx. 7 inch tail. Using your yarn needle, remove all sts from needle as if to purl. Pull tail through the sts to cinch the bottom of the pillow. Secure and weave in all ends. 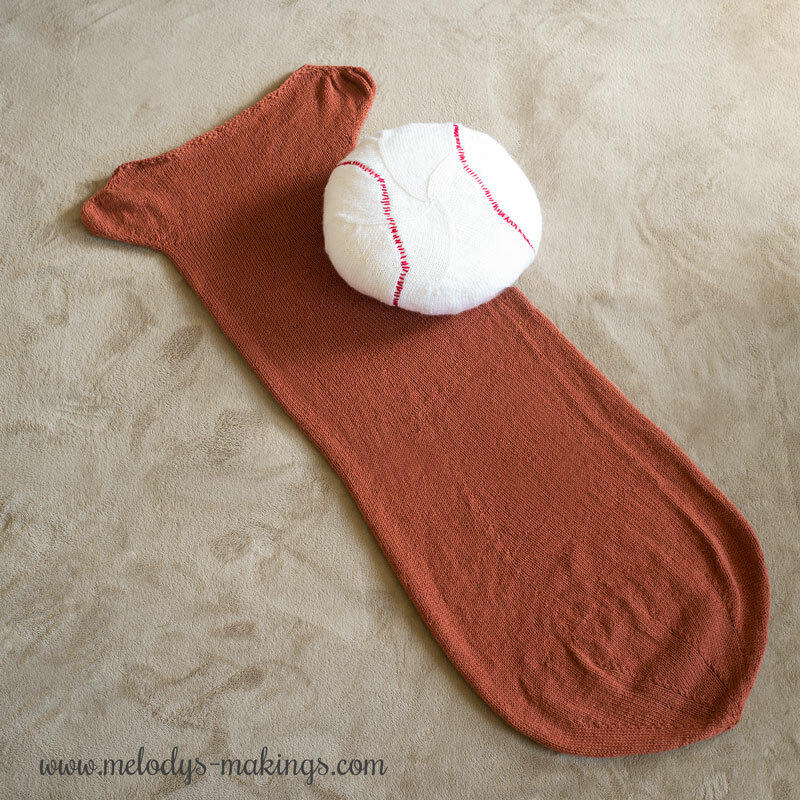 Use your yarn or tapestry needle and your red yarn to stitch the lacing onto the pillow to look like a baseball.